Emmanuel Collard is a French racing driver with a CV that includes world-class achievements in everything from karting to endurance racing, via additional service as a Formula 1 test-driver. 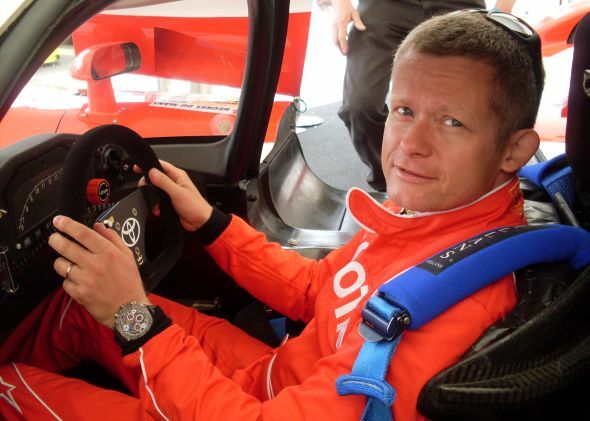 As a Le Mans specialist, Emmanuel has taken part in this endurance race every single year since 1995 and was among the notable drivers of the two Toyota GT-One vehicles (TS020) in 1998 and 1999. Blog: Thank you for taking the time to speak with us, Emmanuel. 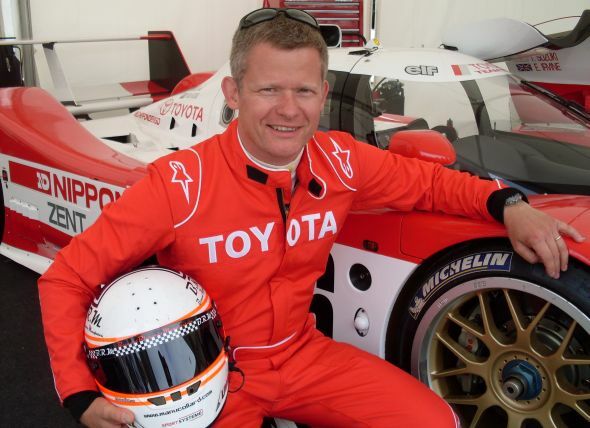 What was it like to be reunited with the Toyota GT-One after 14 years? Emmanuel: I’m really pleased to be invited back and drive it, it’s such an awesome car. And it’s great to meet up again with guys that I knew in the past – the mechanics that are still there working for Toyota, looking after these classic racers and working on the latest TS030 Hybrid. Blog: You have competed at Le Mans every single year since 1995, which must be something of a record among racing drivers. How have you been able to maintain your fitness and enthusiasm? Emmanuel: I think this year was the nineteenth time, actually. Maybe it’s not a record just yet, there are others that have done it thirty years running. But anyway, I’m training almost every day and I’m only 42 years old, so there’s plenty of time yet. Blog: The Toyota GT-One remains one of the fastest vehicles to have ever competed at Le Mans. How do you think it would fare against today’s machines? Emmanuel: That’s difficult to say because the rules have changed a lot but, for sure, I think it would still be competitive. It was incredibly quick and that quality hasn’t changed since then. Blog: Are there any particular memories of your time with the beautiful GT-One that you can share with Toyota enthusiasts? Emmanuel: At the time this car was incredible and I think it still is. Just look at it, it’s a beautiful machine. Toyota spent a lot of money on the Le Mans programme for this car. I particularly remember it because this was the first time I’d signed for a big-budget team and we as drivers were really well looked after. I also remember all the testing we did before it appeared in 1998. We did five 30-hour endurance tests in a row with the car, not just the normal 24, and each of us were doing double stints behind the wheel at circuits such as Paul Ricard and Spa. Emmanuel: Yes, another beautiful car, but one that’s very different to the TS020. It has a normal H-pattern gearbox instead of the sequential in the GT-One, and no traction control either, so it takes a lot of effort and concentration to drive it. You can really tell how far technology has progressed between the TS010, TS020 and now to the TS030. Blog: Thank you for your time, Emmanuel. We hope you enjoy the rest of the show. Read our interview with TS030 driver Alex Wurz here, or see more of our Goodwood Festival of Speed coverage here.